Charles Ives’s ‘Concord Sonata’ is often described as one of the greatest of American piano works. Published in 1920, at the composer’s own expense, it contains radical experiments in harmony and rhythm and would have to wait until 1939 for its first public performance. In the course of its four movements, Ives depicts some of the famous inhabitants of the small town of Concord in Massachusetts,&&& a centre of the mid-19th century transcendentalism movement. Luminaries of the movement such as Ralph Waldo Emerson and Henry David Thoreau are alluded to in various ways in music that includes references to Beethoven, religious and patriotic hymns and circus marches, as well as brief ‘guest appearances’ by a viola and a flute. 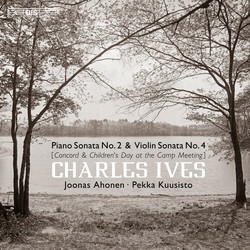 Lasting 47 minutes on the present recording, Ives’s second piano sonata is a massive work of a staggering complexity, and a true challenge for any performer – a challenge more than readily accepted by the young Finnish pianist Joonas Ahonen, who has previously recorded Ligeti’s piano concerto for BIS. For the opening work on the disc, the much shorter Violin Sonata No. 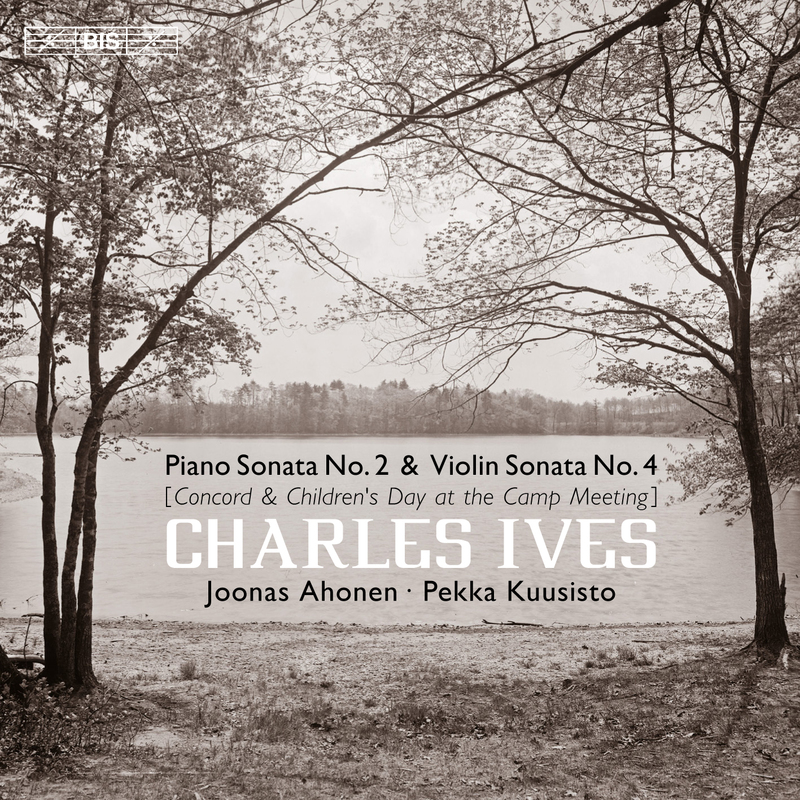 4, Ahonen is joined by his compatriot, the celebrated violinist Pekka Kuusisto. Composed during the same period as the Concord Sonata, this piece also has an extra-musical background, namely the composer’s memories as a child of the so-called camp meetings held during the Christian revivalism of the late 19th century.